Paula Wessells: Happy 4th of July! We are getting ready for our bi-annual BBQ and our own private fireworks show in our neighborhood park. It is amazing what people are buying - I always call it professional grade. 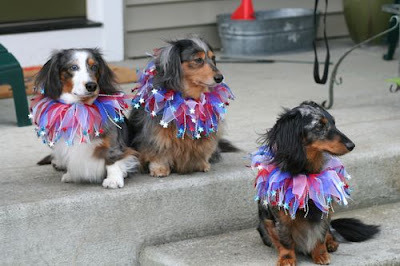 Everyone here at the Wessells' household wishes you a safe and FUN 4th of July!